We love it, great location, accomodating and pleasant staff. Clean. submitted by Kathleen C. - Apr 02, 2018 |Recommended: YesCome on in Also, love the dog friendly atmosphere and green space for him. All the many walking venues here and in the area. Great for all ages. response from property - Apr 03, 2018 Thank you so much for a wonderful review! Excellent and Well Maintainedsubmitted by Samuel D. - Apr 02, 2018 |Recommended: YesIt is quiet, peacful, friendly and accommodating. response from property - Apr 03, 2018 Thanks Sam! 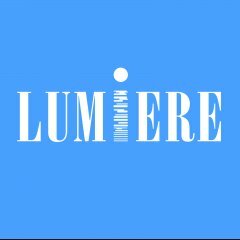 We love that you enjoy being apart of our Lumiere community! Love this communitysubmitted by Mubarak A. - Mar 24, 2017 |Recommended: YesMy family and I are very happy living here. The staff has been very nice and warm. Great Buildingsubmitted by Abdullah A. - Jan 16, 2017 |Recommended: YesVery nice and good building. The staff that works here is very nice. response from property - Jan 17, 2017 Thank you for being an exemplified resident. We appreciate you! response from property - Jan 17, 2017 Thank you for the wonderful compliment! I will see if we can do something about a door sweep to prevent hallway noise from seeping through to the apartment. Hope you had an amazing holiday! Managementsubmitted by Karen C. - Dec 20, 2016 |Recommended: YesI love living here. It is close to everything, upscale and comfortable. The residents and staff are friendly. I feel safe and anticipate staying here for a while. response from property - Dec 21, 2016 Thank you for the wonderful words! We try our best to make this place feel as home to all. Happy Holidays! Great Propertysubmitted by Ricardo C. - Jul 29, 2016 |Recommended: YesOverall, it's a good apartment that I'm happy to live in. The amenities are great and kept in good condition. I recommend this apartment. Very nice submitted by Andrew J. - Jun 27, 2016 |Recommended: YesConvenient location, nice staff.